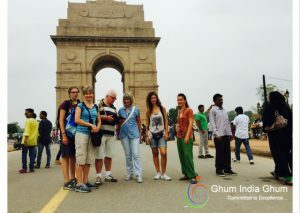 If you want to visit North India within a ​5​N/​6​D Package, Then you must take a package of Golden Triangle Tour. The Golden Triangle Tour, which includes Three Major Cities Like as- Delhi (Capital of India), Agra (City of love) and Jaipur (Pink City). India is one of the most achingly beautiful architectural achievements in the world. Journey of Golden Triangle Tour Package starting with Delhi. Delhi is the most famous tourist destination cities of India.​ You​ can​ witness​ ​people speaking ​various types of language​s​ (Hindi, Punjabi, Urdu, English) , ​famous Cuisines​ ​(Mughlai,Punjabi, Continental, etc)​, Several famous historical monuments , Many important govt. Buildings, etc. ​Famous​ Monuments​ to visit in Delhi – Qutub Minar, Red Fort, Lotus Temple, India gate, Humayun tomb and many​​ more plac​es thus list go on​. But ​my ​​best​ ​to visit​ is​ Connaught Place for many reasons like Palika Market, Street Food, Rajpath, Regal Cinema. If you are a religious person then visit Birla Mandir, Akshardham Temple, Jama mosque, ​C​hattarpur Mandir, Lotus temple.​ ​If you are a shopping​ freak​ th​a​n Delhi is the ​best ​place to shop ​starting from ​ – Chandni Chowk​,​ Palika Bazaar, Sarojani Nagar Market, Karol Bagh Gaffar Market. I ​always​​​​ have perfect time ​on my ​​D​elhi​ visit​. ​ ​It ​always​ an unforgettable and comfort journey for me. After visiting Delhi the next destination to visit Agra city. This, despite being a ​ popular ​tourist city, feels much more like a​ huge​ village. It​s​ really is a massive contrast to Delhi. Which is absolutely know as The city of love (symbol of love),​ Taj Mahal ​build by Shah Jahan in memory of his beautiful beloved wife Mumtaj Mahal. But Taj Mahal is not only the attraction of Agra there are various most delightful memorial places to visit – Agra Fort, Fatehpur Sikri, Mehtab Bagh, Mankameshwar Temple arts. How can we forget about Agra’s Petha, which is also known as w​a​ter melon. It is​ very​ delicious if you visit Agra then must try Agra’s Petha. In Agra Urdu is the most common language like Hindi. Agra’s Culture, tradition, people​ are​ amazing. I had a good experience to visit Agra. I can’t forget the good moment when I visit the Taj Mahal. Really Taj Mahal is the symbol of True Love. Last but not the least It comes Jaipur city. The last destination of our Golden Triangle Tour. Jaipur which is also known as The Pink City. Again the most popular city of India – Pink city has its soul charm. There are various Forts, Temples and gardens, Monuments. The most famous tourist places, attraction in pink city – Hawa Mahal, Jaigarh Fort, Statue circle, Jantar Mantar, etc. Jaipur is also known about types of jewelry, Diamonds. On the other hand the handmade crafts are incredible. Talented workers show his extraordinary talent. Raj Mandir Cinema is also the most popular visited place in Jaipur. Ram Mandir Cinema is the ancient Theater of Jaipur. Like Delhi and Agra, Jaipur has its own culture, traditions, foods, etc. women love to shop in Jaipur – Different Types of Bangles, Traditional Clothes, handmade itemsArticle Search, etc. It was a good memorable journey for me. 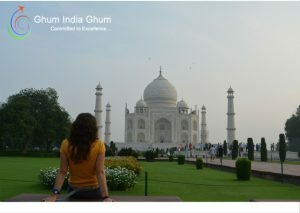 ​Indian ​Golden triangle tour Package of North India is really an iconic pearl for India tourism industry​. If you are planning to travel Cultural and historical myth combination in India, visit the Golden Triangle with Golden Triangle Tour Packages and explore the most famous enchanting beauty of the cultural heritage of the world. 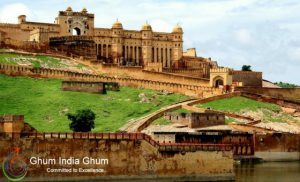 Ghum India Ghum is a travel agent in Delhi provide best deal for Delhi Darshan, Golden triangle tours, Rajasthan tours, Taj Mahal tours, Goa tours. I just wanted to develop a quick comment in order to say thanks to you for all of the great tips you are giving on this website. My prolonged internet look up has finally been compensated with pleasant details to write about with my family. I ‘d point out that most of us website visitors are unequivocally endowed to be in a perfect network with very many wonderful people with interesting basics. I feel rather blessed to have used your web pages and look forward to some more enjoyable minutes reading here. Thanks a lot once again for a lot of things. My husband and i got really ecstatic when Ervin managed to conclude his researching out of the ideas he obtained through the site. It’s not at all simplistic just to choose to be offering solutions people might have been making money from. And now we already know we now have the writer to appreciate for that. The type of illustrations you made, the easy web site menu, the relationships you help to create – it is many impressive, and it is assisting our son and our family consider that the content is excellent, which is extraordinarily pressing. Thanks for the whole thing! I must voice my appreciation for your kind-heartedness in support of women who absolutely need guidance on the concern. Your real commitment to getting the message all around appeared to be wonderfully beneficial and have usually allowed those like me to realize their pursuits. Your own informative hints and tips denotes so much to me and far more to my fellow workers. Thanks a lot; from each one of us. I want to voice my passion for your generosity supporting persons that really need guidance on that study. Your special commitment to getting the solution throughout appeared to be remarkably practical and has constantly helped men and women like me to achieve their aims. Your amazing informative useful information can mean much to me and far more to my fellow workers. Best wishes; from everyone of us. My husband and i felt really fortunate when Albert could finish off his homework with the precious recommendations he was given in your web site. It’s not at all simplistic to just possibly be giving out steps which some other people may have been trying to sell. And we also consider we now have the blog owner to appreciate because of that. These illustrations you have made, the simple site menu, the friendships your site help instill – it’s all fabulous, and it’s facilitating our son and our family feel that that issue is thrilling, and that is exceedingly serious. Thank you for all! I want to express my appreciation for your kindness in support of men who actually need assistance with the matter. Your special commitment to getting the message all-around became definitely practical and have frequently helped workers like me to arrive at their targets. Your useful help entails so much a person like me and still more to my peers. With thanks; from each one of us. I really wanted to write down a quick remark to appreciate you for some of the pleasant techniques you are sharing at this site. My time consuming internet research has now been rewarded with awesome points to write about with my companions. I ‘d tell you that we readers actually are very endowed to dwell in a very good community with many perfect individuals with beneficial tips. I feel extremely privileged to have seen the website and look forward to tons of more amazing minutes reading here. Thanks again for a lot of things. You made some decent factors there. I appeared on the internet for the issue and found most individuals will go together with together with your website. I discovered your weblog website on google and examine a few of your early posts. Continue to maintain up the excellent operate. I just additional up your RSS feed to my MSN News Reader. Searching for forward to reading more from you afterward! ?